Frida was the first member of ABBA to release a solo record in Australia, even before ABBA ceased to be a working group. 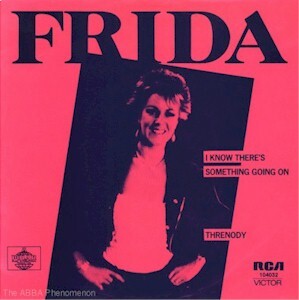 In August 1982 her first English language single I Know Theres Something Going On/Threnody was released, and instantly became a hit, reaching number 5, but was unfortunately Fridas only chart hit . Both tracks were featured on the Phil Collins-produced album Somethings Going On , released in September, and reached number 40 on the album chart. The album was released on CD in 1984, then re-released in 1993. 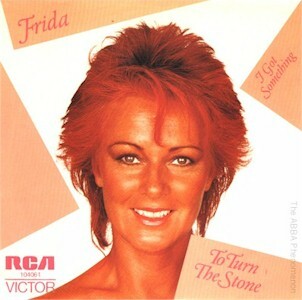 In December, the single To Turn The Stone/I Got Something was released within days of the ABBA single The Day Before You Came . Also in December, the first Agnetha solo single to be released in Australia was a duet with Swedish singer Tomas Ledin, Never Again . The B-side Just for the Fun did not feature Agnetha. Despite some airplay the single was not a hit. 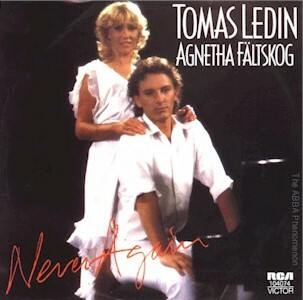 Never Again has not been included on any of Agnethas albums, though it was included on Tomas Ledins album The Human Touch, and has since been included on Agnetha's compilation CD That's Me - The Greatest Hits. 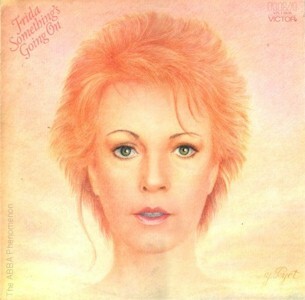 Another single from Fridas Somethings Going On was released in May 1983, Here Well Stay (Special Version)/Strangers. Due to contractual problems with Phil Collins record company Frida returned to the studio to rerecord solo lyrics to the duet that had closed her album. This single saw RCA return to issuing singles in cardboard sleeves, rather than a sheet of paper in a plastic sleeve . 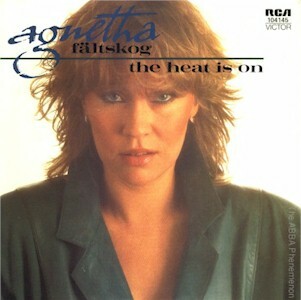 The first single from Agnethas upcoming solo album was released in June 1983. 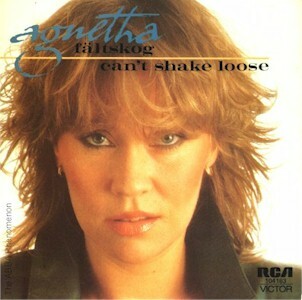 Originally The Heat Is On had been selected, but RCA decided to release the rockier Cant Shake Loose/Man as the first single instead, which became Agnethas only charting single in Australia, reaching number 76 . 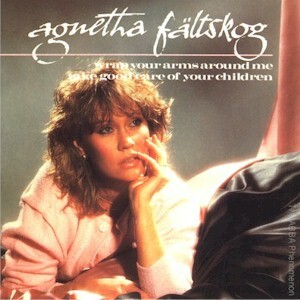 Agnethas first English language album Wrap Your Arms Around Me was released in July 1983 . 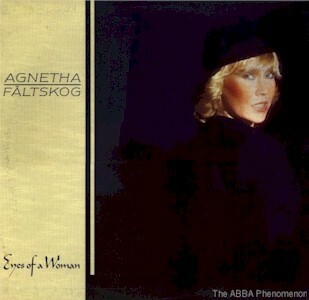 Produced by Mike Chapman, the album featured Agnetha singing a wide range of songs, but was not a hit. The title track was also released as a single, backed by Take Good Care Of Your Children . The album was not available on CD in Australia until 1993. The album scraped into the top 50, at number 49. The Heat Is On/Man single was eventually released later in the year, in a near identical cover to the Cant Shake Loose single, leading to some confusion . Sadly the excellent 12 inch extended version of 'The Heat Is On' wasn't released in Australia. In early 1984 RCA released Fridas duet with B.A. 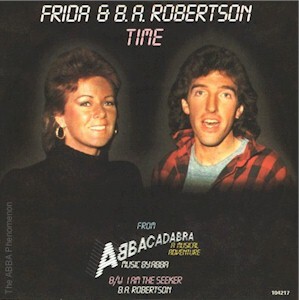 Robertson, Time from the musical ABBAcadabra, which featured the music of ABBA and newly written lyrics by Englishmen Don Black and Mick Batt . The B-side featured a solo performance by B.A. 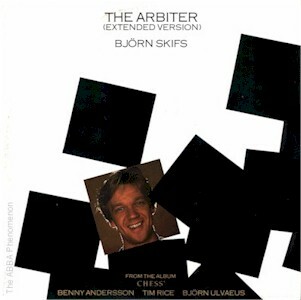 Robertson of a song written by Bj�rn and Benny in 1981 but never completed by ABBA, titled I Am The Seeker. 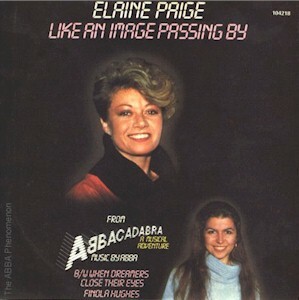 At the same time another ABBAcadabra single was released, Like An Image Passing By by Elaine Paige (featuring new lyrics to My Love, My Life written by Bj�rn)/When Dreamers Close Their Eyes (Like An Angel Passing Through My Room) by Finola Hughes (RCA 104218) . Later in the year English singer Adam Ant released the album he had recorded at Polar Studios, Strip (CBS) The title track, featuring an unbilled spoken word verse by Frida, was released as a single . A 12 inch version was also available. 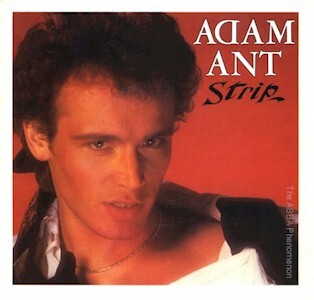 Strip has also been available on CD, and the song Strip has appeared on several Adam Ant compilation CDs. 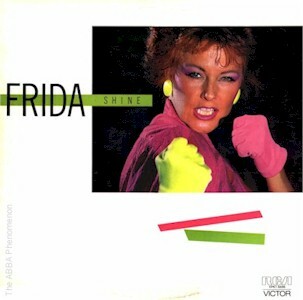 In November 1984 Fridas next solo album was released, titled Shine, produced by Steve Lilywhite . The title track was released a single, featuring the non-album B-side Thats Tough. A 12 inch remix single of Shine was also released, but neither format of the single came in a picture sleeve, and the album lacked its inner sleeve with lyrics to the songs. The album was released on CD in early 1985 (with full lyrics), then re-released in 1993. Shine contains the only song written by Bj�rn and Benny to be recorded by one of the girls in the post-ABBA period, Slowly. No further singles were released from Shine, and indeed these became the last records released by Frida in Australia. 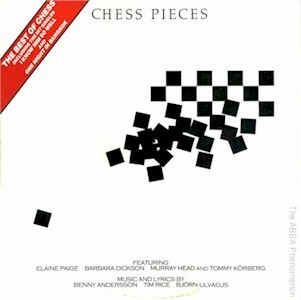 Bj�rn and Bennys musical Chess was released as a double album in December 1984 , featuring many English and Swedish singers and musicians, including Murray Head, Elaine Paige, Barbara Dickson, Tommy K�rberg, Denis Quilley and Bj�rn Skifs, plus the London Symphony Orchestra and the Ambrosian Singers. The album included a 20 page book, with a synopsis of the show and full lyrics to all the songs on the album. 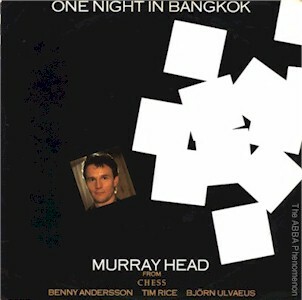 The singles One Night in Bangkok (7 inch and 12 inch extended versions) and Nobodys Side were released in January 1985, followed by the singles I Know Him So Well , The Arbiter (7 inch and 12 inch extended versions) and Heaven Help My Heart (7 and 12 inch versions). 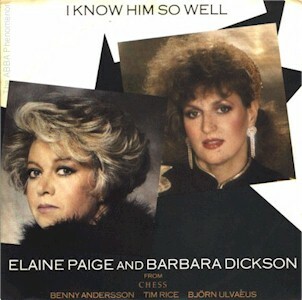 Only One Night in Bangkok and I Know Him So Well were chart hits, reaching numbers 1 and 21 respectively, while the album reached number 35 in 1985 and charted again in 1990 when the much-changed musical opened in Sydney. All Chess-related records released by RCA featured white labels with the Chess logo prominent. 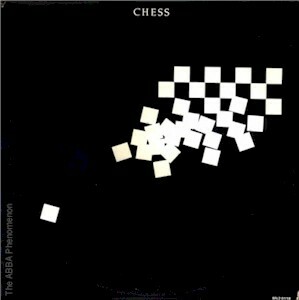 Chess was released on CD in 1985, with standard RCA CD labels. 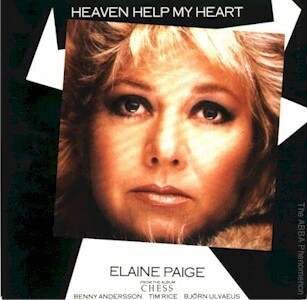 A video, Chess Moves, featuring five songs from the album with linking pieces by Tim Rice, was also released in 1985. Of interest to the Bj�rn and Benny fan was the 1985 release of the eponymous album by Swedish duo Gemini (Polydor 829 064-2), featuring Anders and Karin Glenmark (who had recently worked on the Chess album) and produced by Bj�rn and Benny. The first single from this album was Geminis version of the song Slowly, originally written for Fridas Shine album, and the album featured several songs written by Bj�rn and Benny, some in collaboration with Anders Glenmark. The album also saw the first official release of the legendary unreleased ABBA song Just Like That, though the song had been mostly rewritten, with an entirely new verse and slightly different chorus. Agnethas next solo single I Wont Let You Go/Youre There and album Eyes of a Woman were released in July 1985 . Produced by former member of English group 10CC Eric Stewart and featuring contributions from many credible English musicians, neither were a hit and no further singles were released. 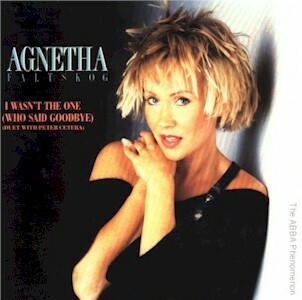 A 12 inch extended mix of I Wont Let You Go was not released in Australia, and like Agnethas Wrap album Eyes of a Woman was unavailable on CD in Australia until 1993. In March 1986 RCA released the single album compilation Chess Pieces, which contained a selection of songs from the original double album . Chess Pieces has not been released on CD in Australia. In February 1987 Festival Records released a single Agnetha recorded with Swedish singer Ola H�kansson for a film to accompany Swedens bid to host the 1992 Winter Olympics, The Way You Are/Fly Like The Eagle on the Interfusion label through local record company Festival. 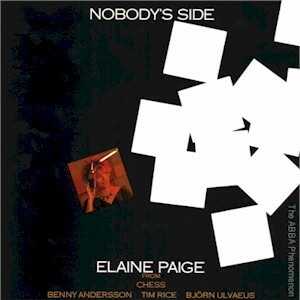 The single did not have a picture sleeve, received almost no airplay and consequently bombed. Again a 12 inch extended version was not released in Australia. 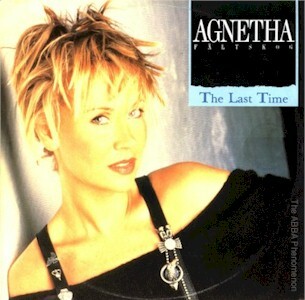 In April 1988 WEA released Agnethas third and final English language solo album to date, I Stand Alone , and the first single from it, The Last Time/Are You Gonna Throw It All Away. The album was simultaneously released on LP and CD, while the single was in 7 inch , 12 inch and CD3 formats, the last 2 formats having an extended version of The Last Time. I Stand Alone entered the album for one week only, reaching number 96. Another single, I Wasnt The One (Who Said Goodbye/If You Need Somebody Tonight was released later in the year. The A-side was a duet with the albums producer, Peter Cetera, the former member of the American group Chicago. 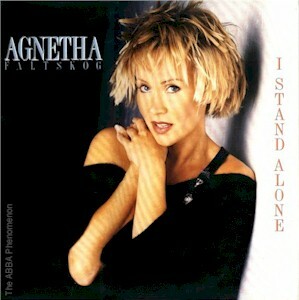 This single, released on 7 inch and 12 inch extended versions (containing the extra track Yo No Fui [Quien Dijo Adi�s], I Wasnt The One in Spanish) , was the last single by Agnetha released in Australia. In March 1990, to coincide with the production of the musical Chess at Sydneys Theatre Royal, RCA released the Chess Original Broadway Cast Recording album on CD. 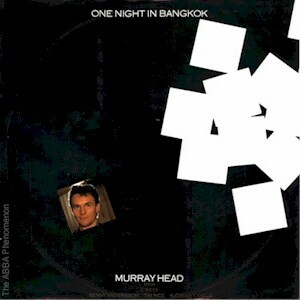 This album was very different to the original 1984 album, and different again the Sydney version of the musical. It contained several new songs, and other songs had been rewritten and retitled to accommodate the changed storyline. No singles were released from this album. RCA also reintroduced the original album, and a wide range of Chess merchandise was available from the theatre, with a new logo very different to the original album and London production. 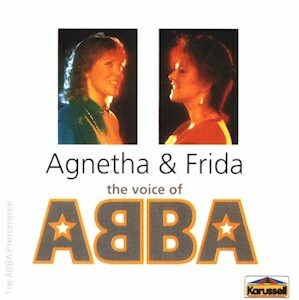 In 1994 PolyGrams budget label Karussell released what is certainly one of the strangest ABBA-related compilation CDs ever: Agnetha & Frida - The Voice of ABBA, containing seven solo tracks each by Agnetha and Frida . 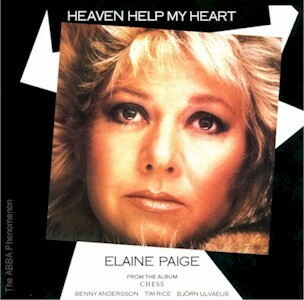 All of their international English language solo singles were featured, plus some album tracks and the added bonus of the non-album B-sides Thats Tough (Frida), Youre There and Turn The World Around (Agnetha), the last of which had not previously been released in Australia, as the single it appeared on (One Way Love, from Eyes of a Woman) was not released by RCA. In time for the February 1997 premiere of the Melbourne production of Chess, PolyGram re-released the original 1984 Chess album, in the new slim-style double CD package. 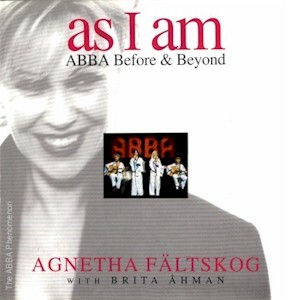 In February 1998 Agnetha's autobiography, co-written with Swedish journalist Brita �hman, As I Am: ABBA Before & Beyond was finally released in Australia, having been available in the UK since October 1997. This 162 page book was Agnetha's attempt to "set the record straight", and try to counteract the many rumours and "mendacious" stories that had circulated about her, particularly after the publication of the book ABBA The Name of The Game. Filled with many previously unpublished photographs, the book was eagerly snapped up by Agnetha fans everywhere . The first Agnetha solo compilation to be released internationally, That's Me - The Greatest Hits was released in by PolyGram in Australia in June 1998. The CD features 19 songs, including all Agnetha's international solo singles from her three English language solo albums, three landmark ABBA songs (including Agnetha's self-confessed favourite, 'That's Me'). That's Me also included a song that had been recorded as a demo in 1981 and never released, 'The Queen Of Hearts', which was an English recording of her 1979 Swedish hit 'N�r du tar mej i din famn'. For more information about the chart positions achieved by ABBA's various singles, albums and CDs in Australia and many other countries, visit the ABBA Worldwide Chart List. Do you have any comments or corrections? This discography will keep growing for as long as ABBA music is made available, and ABBA fans keep enjoying it. Please e-mail any comments.